sheesh, kg, you is an ol' ***** if you remembers toni. looks like a miss clairol girl--"only your hairdresser knows for sure." sorry 'bout the belly jewelry, but no decals. And that's a surprise? Ask Junior a couple of messages up if he remembers Toni. He probably doesn't remember much of anything. She's sitting on a Nissan, the ink is probably a "tramp stamp" on the 'tother side. Junior, I was driving high-horsepower vehicles of all types while you were still in diapers (if you're even out of them). I have probably driven more and different types of vehicles than you've ever had the opportunity to ride in, much less own. My father was an automotive engineer (if you know and understand what that means) and I spent most of my formative years (if you know what THAT means) in, under, around and with 2 and 4 wheel vehicles. You can talk all you want about SRt-4s, I see so many of them around that they're practically a nuisance. Must be that great Chrysler engineering. The fact that you chose to answer a posting that was almost as old as you appear to be says a lot about how observant you are. Don't mess with your superiors, you'll only have your hind-parts handed to you in a bag. Incidentally, I don't "hate on" Srt's, I dislike people who come out of nowhere with no track record of any kind declaring themselves "experts" on anything. You may like SRT's...okay, I like espresso, so what? You don't exactly have a long and illustrious posting history here (one rant, followed by a second rant) isn't exactly a track record to aim for. With all those other "thousands of forums" too bad you decided to drop your spew on this one. Nobody can "check your grammar" because you don't seem to know what the word means. No, there's only one of you and that's about 30 too many. I'm sure your mother (grudgingly) appreciates whatever small bit of humanity she can find in you. And apparently, you have a problem with both reading and reading comprehension. My father was not only an engineer, he happened to be an AUTOMOTIVE engineer (I typed it in all caps so you can try to sound it out when you ask someone over the age of six what it means). Huh? What are you trying to say? Are you using the library computers again? Do they know you're illiterate? Are they still pointing you to the Kiddie reading room to keep you away from normal humanity? Yeah, you tell them, Slippy. Who the helll are those people and why would anyone have an opinion that was different than yours. You're the only one that matters in your juvenile world, right? Apparently you seem to be the only douchebag here. I'd personally never stoop to calling you names, but if you're going to do it for me...well, you know yourself better than any of us here and because of your interesting use of the English language, you have managed to call yourself names a number of times. It's quite hilarious. What other idiiot agreed with you? You really need to work on that punctuation, Slick. You've managed to call yourself a number of names (and so far, you've been right every time). Pathetic? Yep, you definitely qualify, but you left out moronic, idiotic, illiterate, degenerate and foul-mouthed. Don't worry, I'm sure they'll let you continue to use the computer at the library, after all, they know your mommy makes you come home before 5:00pm. Oh, and thanks for the entertainment. It's not often you get to see a donkey stand on it's hind legs and attempt to talk like a human. Oh, and please hurry back (your next work release day from the home? ), you're really amusing....illiterate, uninformed, and somewhat juvenile, but amusing for all of that. Last edited by kgf3076; 07-10-2013 at 10:59 AM. Hey KGF, he's not worth your time. Oh come on, it's fun to poke them once in a while just to see them try to get their two brain cells to work. Sounds like he's trying to say something here......what that might be is anyone's guess. It's all the lol's. Yeah that was bad.... What else... Pretty much any pre 2011 v6 mustang. Hey man, don't try to change the subject! This is about unreadable comments, SRT's and Toni's! What the fvk is a Toni??? i had a Vortech kit and it was excellent maintenance free.. 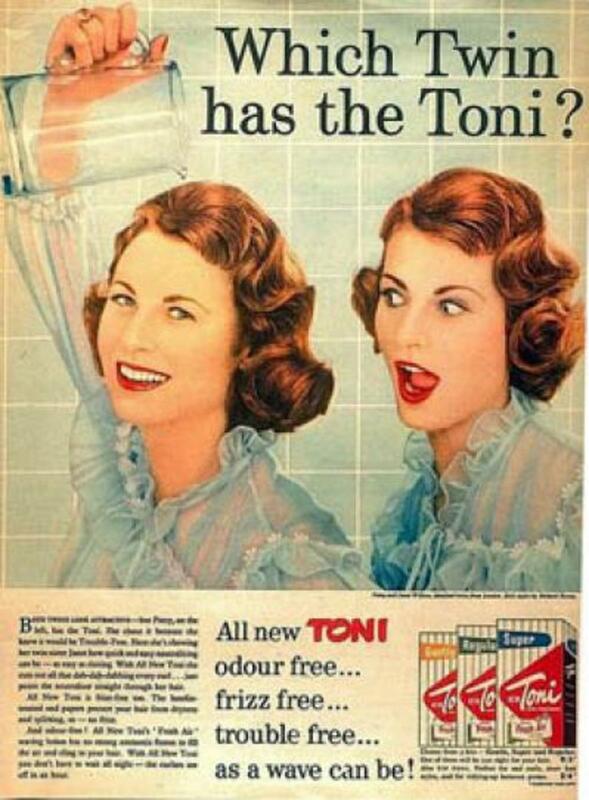 The Toni being talked about was a hair-color, permanent goo from the mid '50s or so last century.